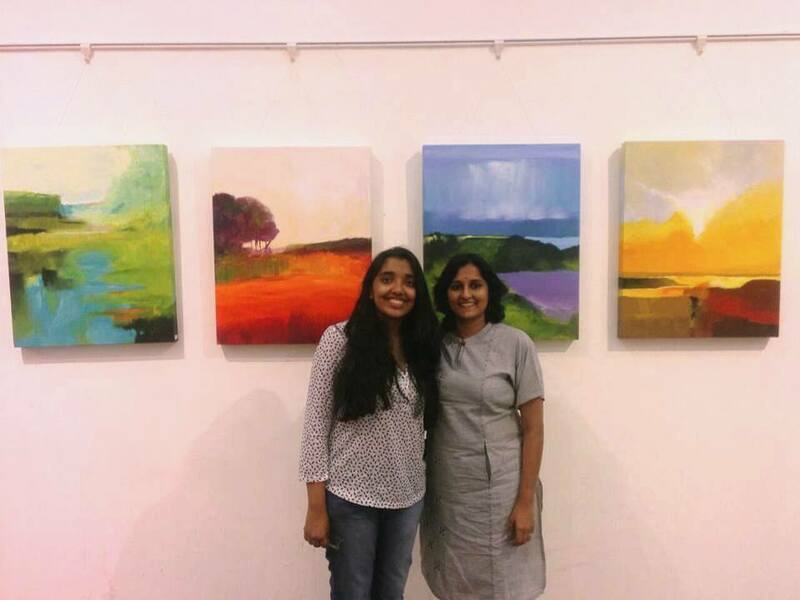 On the 23rd-25th January 2017, a host of some of the most talented up-and-coming artists in the country came together and displayed their paintings and sculptures at the Price of Wales Museum in Kala Ghoda. 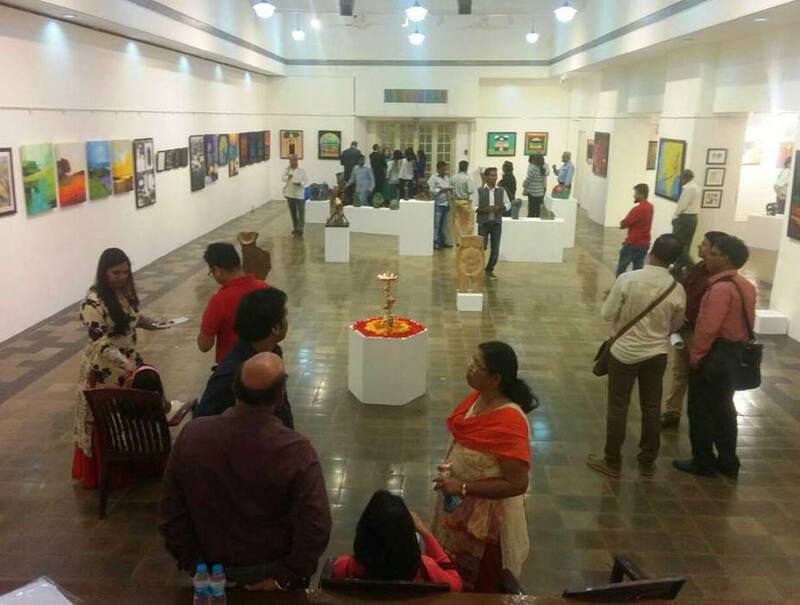 Brainchild of Satish Patil and Satyendra Rana, the art show transcended competition and rivalries, and made a beautiful union of talent that resonated with visitors and art-lovers in an amazing way! 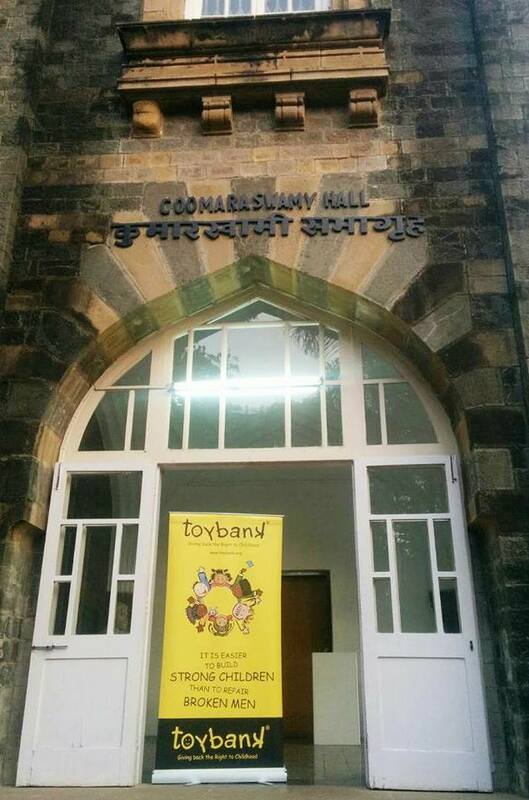 To our joy, Toybank was NGO of choice at the event, spurred by a recommendation from one of our favourite young artists at the exhibition, Aadhya Shivkumar. What is the reason you decided to support Toybank through the exhibition? 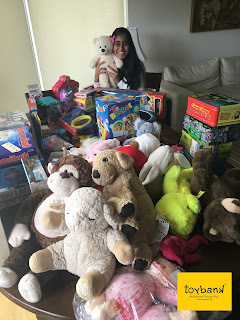 I found out about Toybank and began volunteering with them through my school CAS activities. I saw how eagerly the Colaba Municipal School children greeted us when we went to play with them, and I was touched by what Toybank is doing so I thought I should support them in some way. When I was invited to participate in a group art show, I suggested that we support Toybank and spoke to them about my experience. They readily agreed. When did you begin painting? I have loved art since I was very young. 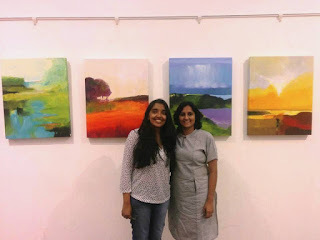 I took art classes through primary and middle school and decided that I wanted art for my ICSE optional subject in Class 9 and 10. I painted my first canvas when I was 9 or 10. What were the type of paintings you had at the exhibition? I had a series of semi-abstract nature paintings in bright acrylic colours; I wanted paintings that would make people happy. How many paintings got sold? I gave four canvases for the art exhibition. To my joy, three out of four of them were sold! 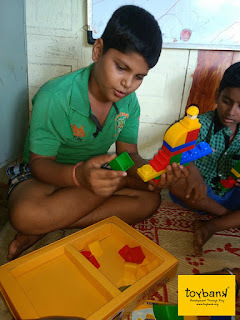 Aadhya, her family, the other artists, as well as the Sahyog team have contributed smiles and cheers to many of the children we work with, and Toybank thoroughly enjoyed and is honored by the opportunity to partner and be part of the wonderful experience! Taking on Waste Management at the Toybank Office! People at Play Session at QTube Café!